In the earliest days of automobiles, there was only one truck cab style to choose from, but changing times and preferences have given drivers a range of options when buying a vehicle. 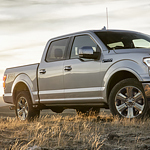 Knowing which you prefer can help you narrow down your choices when purchasing your next truck. The standard design offers two doors and room for up to three adults. The utility of being able to carry more passengers or gear led to the creation of the quad cab, a two-door style that offers a second set of smaller utility doors. A crew cab offers four true doors and even more space in the back seat. A crewmax cab is the largest of all, with over-sized doors and added legroom. If you think a truck may be the right vehicle for you, you're welcome to visit us at Select Automotive. We have plenty of styles to choose from and can arrange for you to take one out on the road for a test drive. We'll also be on hand and happy to answer any questions you may have.